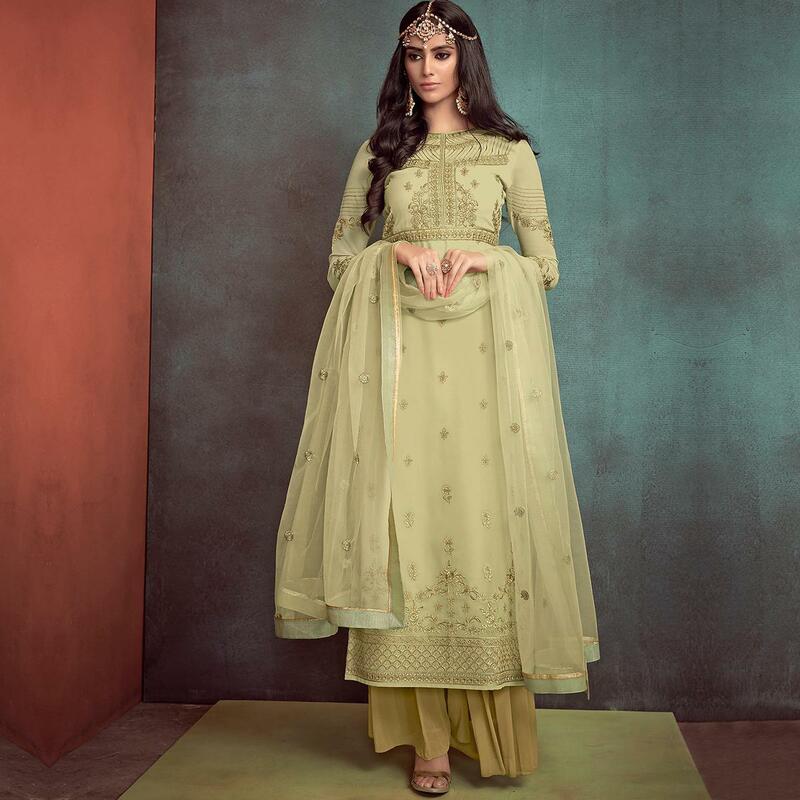 Be the sunshine of anyone’s eyes dressed with this light olive green colored faux georgette palazzo suit. 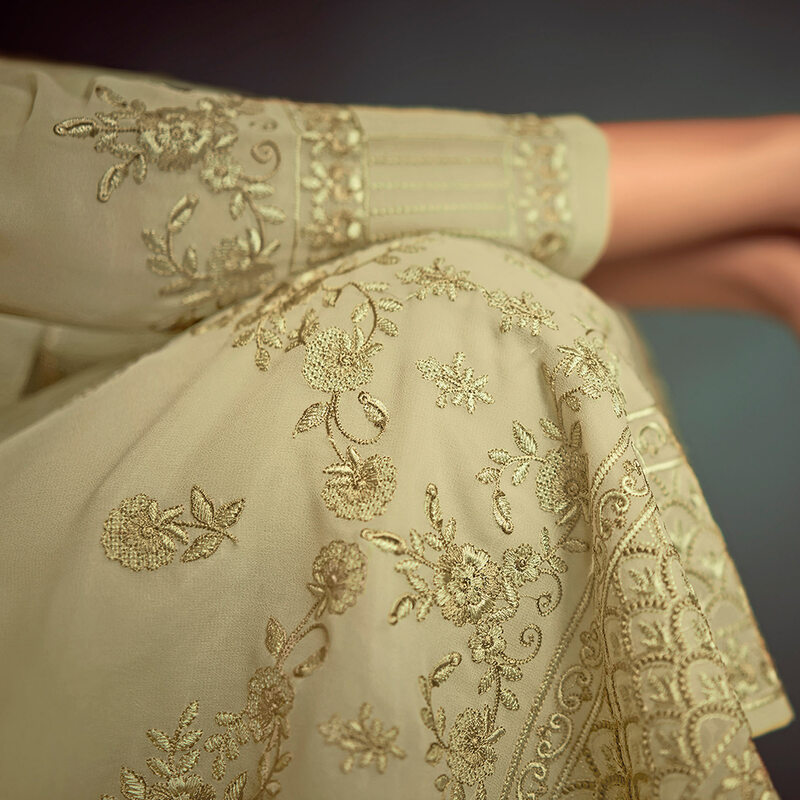 The semi-stitched suit is beautified with amazing embroidery which is eye catching. Comes along with matching colored stitched faux georgette bottom and net lace dupatta to complete the look. Women can buy this suit to wear for their upcoming functions, parties, kitties, weekend get together. Grab this palazzo suit now as it's easy to maintain and comfortable to wear all day long. Team it with stylish accessories to make your looks more beautiful.